Proceed to account sign up. 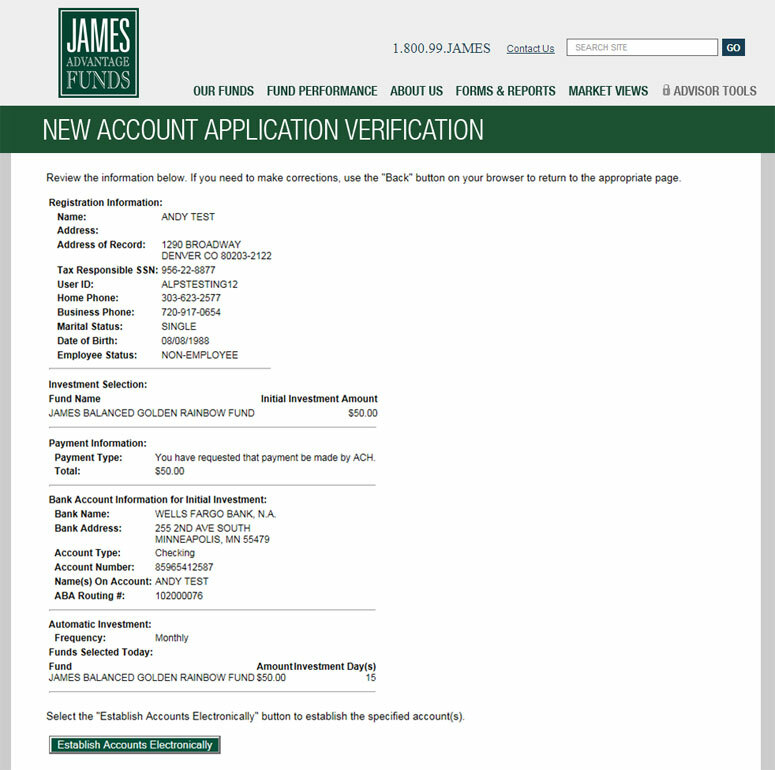 The following sections will allow you to specify details about your new account. 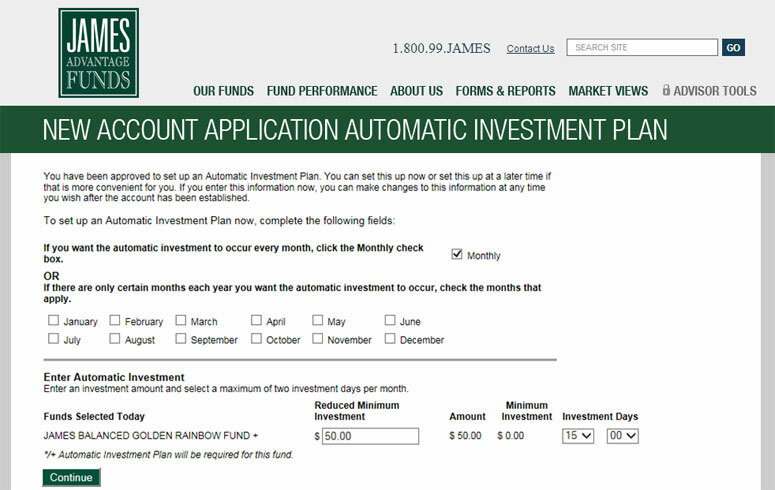 The new account process takes about 10-15 minutes to complete. Once you are finished and have verified your data, you will have online access to your new account. It usually takes one to two business days for the fund to verify your account application and confirm receipt of your initial purchase. A confirmation will be sent to you once this process is complete. For your convenience we have added screen shots below so you can preview the process and collect the necessary information before proceeding. Click on Open Account from the main login page. Disclaimer text. Click continue to move on in process. Complete all fields to create a user id (Reset question and answer is optional but highly recommended) and click continue. Next, complete the registration form and click continue. Choose your account type. 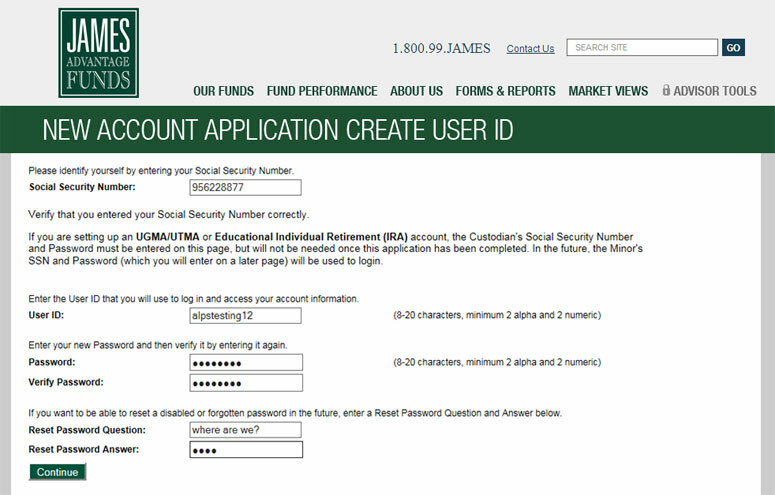 If an account type is selected that requires a beneficiary, you will be prompted with a page to fill out that information. 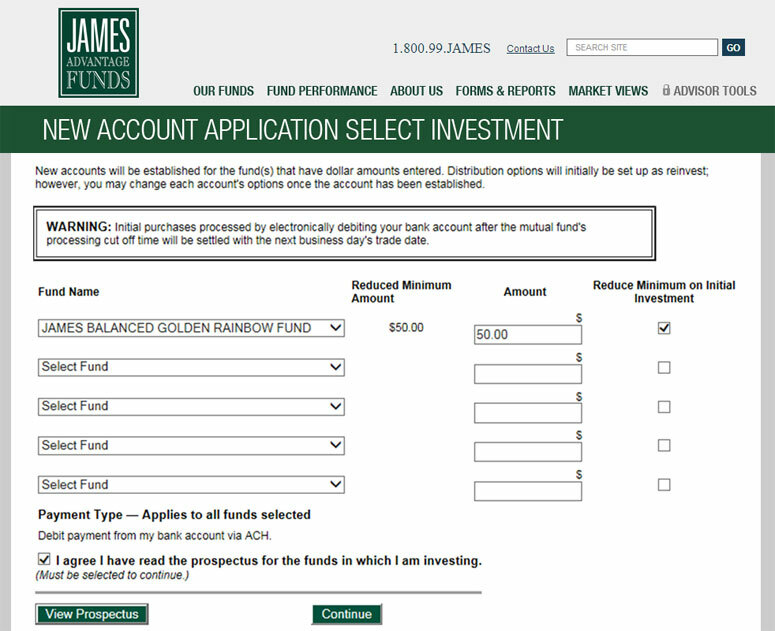 The example below will be an individual account so we will not be prompted with the beneficiary page. Check off that you understand and accept the terms and conditions for W-9 Certification. Users will then choose the fund in which they want to invest. The reduced minimum with AIP option is available and the reduced minimum amount will display. To take advantage of this, the user must enter in 50.00 in the amount field and also click the reduced minimum check box on the far right. 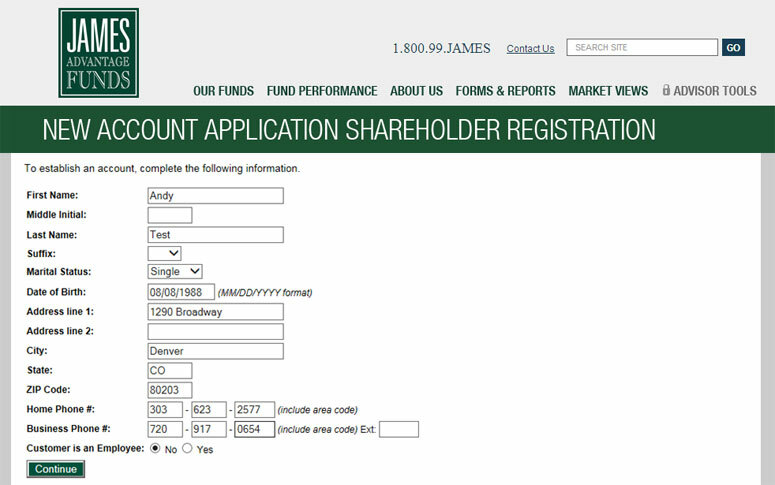 When used, shareholder will be forced to setup an AIP when they get to that page. If not chosen, they can skip the AIP. Next, the user will need to establish the AIP for a minimum of $50.00. They can select to have up to 2 investment days per month as well. Next Review the account information entered during the process and click Establish Accounts Electronically.